Insurance – Landlords Take Note! In the recent decision of COS Services Limited -v- Nicholson  UK UT 0382 the Upper Tribunal (Lands Chamber) dismissed a landlord’s appeal against a decision of the First Tier Tribunal concerning insurance premiums charged to tenants under the terms of their leases. The decision should be of interest to landlords and tenants alike because the Tribunal held that in determining the reasonableness of an insurance premium whilst it would not be necessary for a landlord to show the insurance premium is the lowest that can be obtained in the market, a landlord is expected to explain the process by which a particular policy and premium have been selected with reference to the steps taken to assess the current market. Further still the Tribunal held that whilst a landlord may obtain a block policy which results in a higher premium being charged to the tenant than under an alternative policy, landlords are expected to show that the insurance policy carries with it significant advantages for tenants compensating them for the extra costs. Colman Coyle regularly act for landlords and tenants on a variety of service charge disputes. 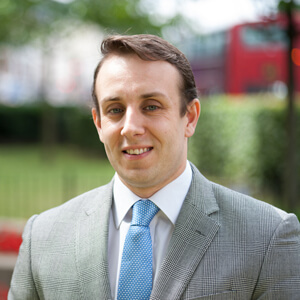 If you are a landlord seeking to recover outstanding service charges or, alternatively, a tenant looking to challenge your service charge and you require any advice you should contact Mr Adam Palmer on 020 7354 3000 or adam.palmer@colmancoyle.com.